How can we best lay a foundation for contemporary museum education? How might we empower children to explore their own ideas and to employ critical thinking? How can we encourage kids to share their thoughts and to work together? At the Children’s Creativity Museum in SoMa’s beautiful Yerba Buena Gardens, creative expression, collaboration, and innovation are central to the museum’s educational experience, where a wide variety of activities await visitors. While interning for the Education Department at CCM in Spring and Summer of 2016, I’ve assisted educators in teaching classes for visiting field trips, have taught visiting field trips myself, and have worked with a team who facilitates learning in the museum’s interactive exhibit spaces, where visitors tune into their imagination. Part of CCM’s philosophy is a “20% inspiration” model: we give kids a foundation or a basic starting point. From there, they can build concepts. We encourage and assist. We don’t manipulate their creativity. We don’t push for a given result. 80% of each creation comes from the children, as their new ideas take form, and as they experience the process of materializing their idea. With the “Mystery Box Challenge,” children choose surprise challenge cards, grouped by age/developmental stage. A mystery box provides materials to answer the challenge. The challenge and the materials inspire the children’s imagination, but each inventive solution is 100% unique to the young creator. Challenge: “Help a firefighting turtle move more quickly.” Challenge: “A Playground for Bugs.” These cards offer room to develop new perspectives. Throughout the museum, we teach children the mechanical aspects of bringing their concepts to life (e.g. techniques for building, animating, or coding). However, the kids’ imagination accounts for what results. During classes for visiting field trips, projects may involve collaborative effort between students (e.g. during group story-writing). Synthesis develops as each folds his/her contribution into the whole, with our encouragement. This 20% inspiration model is reminiscent of Visual Thinking Strategies (VTS), in that both methods focus on asking students questions, to emphasize their perceptions, rather than on pushing preconceived outcomes. These forward-thinking methods have dovetailed well with topics Sheila Pressley and Emily Jennings (of the de Young Museum) addressed in University of San Francisco Museum Studies course Museum Education. (For more on Sheila and Emily, read their interview here on our Museum Studies blog.) CCM shifts the focus from media consumption to media production. This relates to Sheila’s and Emily’s discussions on interactivity in museums. In both cases, visitors’ input for development of exhibit content is valued. 21st century museum education departments value collaborative communities. CCM is also forward-thinking in offering a wide range of activities. The Imagination Lab has stations for physical play, art, and theatre. In the nearby Animation Studio, children make clay characters and stop-motion animations they can save and email home. In the Music Studio, kids use karaoke, microphones, costumes, and a green screen (selecting their own background), to create music videos they can save and email home. The Tech Lab has Dash and Dot robots, which kids learn to operate on tablets via Blockly, a basic coding program. The Mystery Box Challenge in The Innovation Lab allows children to make prototypes, or assemblages, to brainstorm solutions for theoretical questions of varying complexity. These exhibits provide great variety, appealing to the physical, visual, musical, technological, solitary, and social affinities of each person. At CCM, multiple learning styles abound. Multiple learning styles theory relates to psychologist Howard Gardner’s Theory of Multiple Intelligences. In his book Frames of Mind (1983), Garner introduced a new approach to learning modalities, identifying types that he labeled verbal-linguistic, visual-spatial, logical-mathematical, musical, bodily-kinesthetic, naturalistic, intrapersonal, and interpersonal. We all have these, combined in different ratios. (Try a quiz here to see how you relate!) Education that includes multiple approaches that appeal to different types of intelligence can help people be more receptive to learning. Those who relate to an idea in a way that is personally interesting to them enjoy and retain an experience. I’ve greatly enjoyed CCM’s approach to education, and I’ve learned so much about true teaching! Besides hands-on experience, CCM also provides weekly professional development training for Education Interns, from a variety of presenters, covering many topics: the stages of child development, special needs education, even classroom management. I’ve enjoyed these exhibits that inspire creativity. The interactivity application potential for museums is a growing art. I highly recommend CCM for anyone interested in applying for an internship in museum education! 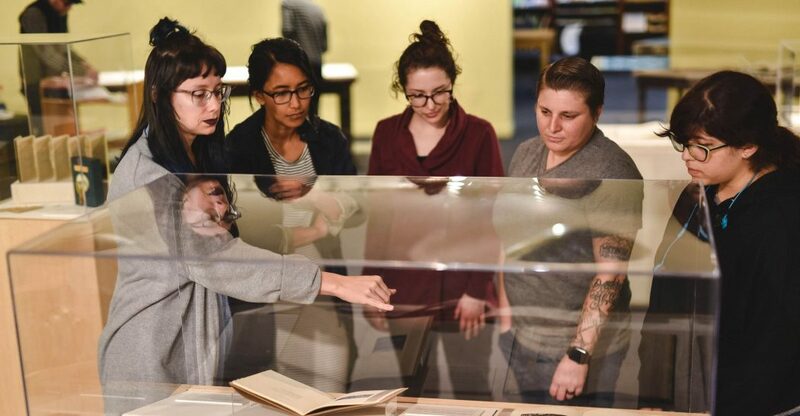 To learn more about University of San Francisco’s graduate Museum Studies program, click here.